When you think of public transportation, do you think of harried New Yorkers crowding into underground subway stations? Vice President Joe Biden's well-documented obsession with commuter trains? Long lines of bus travelers waiting in single files to board? 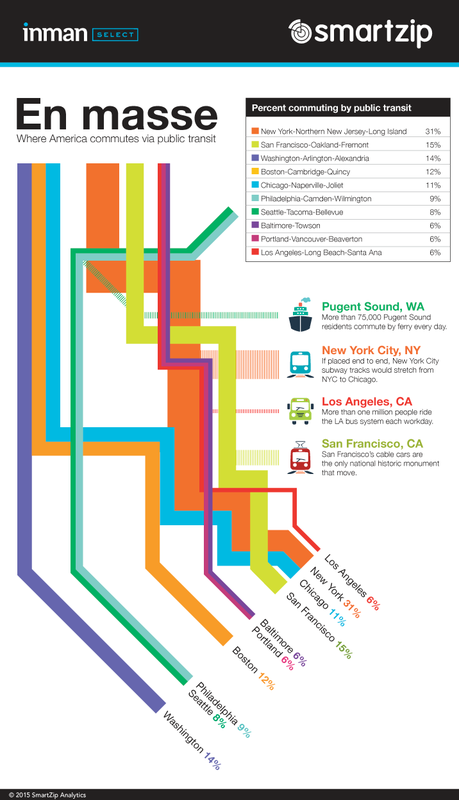 All of these are accurate, and New York does boast the highest rate of public transit commuters (by a long shot). But as Americans eschew single-car commuting, new mass transit cities (and modes of transportation) are cropping up. Load up your metro card and take a peek into the top 10 cities where America commutes via public transit.